"All I wanted to do now was get back to Africa. We had not left it yet, but when I would wake in the night, I would lie, listening, homesick for it already". It is my third trip to Africa and what can I say...? I, too, was homesick for it already and I had just arrived! Once this magical place has touched your soul, you immediately feel at home, and the thought of leaving is ever so hard. This trip was from 23rd May 2016 to 4th June. Nine flights in thirteen days. A commercial flight from Australia to Johannesburg, a smaller commercial flight to Maun, and a prop plane carrying five passengers flew me into the heart of the Okavango Delta. I was the lucky one to sit in the co-pilot seat. My first two nights were at the Sanctuary Baines Camp. A total of five villas each on stilts as the delta floods every year. The water was just starting to arrive when I was there. Getting from the villas to the dining room, or swimming pool, was all by wooden walkways metres above the ground. The camp was situated on an island, so the game drives were still in comfortable 4WD vehicles with snorkels as in many instances the engine was underwater as we drove from place to place looking for 'game'. My first evening game drive, though I was tired from 24 hours of travelling, was to set the pace for the rest of the safari holiday. 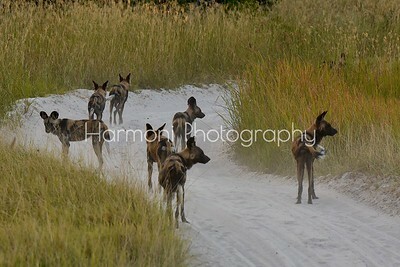 It was my first encounter with the rare painted wild dogs. No less than fifty dogs on the hunt for an evening meal. At one point we had dogs in every direction. They often jumped high above the grass as if copying the Masai warriors, to get a better view. I was seated in the back of the jeep and I thought, if I can see them in front and to the side, I bet they are behind me also! So I turned around and sure enough a couple dogs were closing in from the back and that is when I captured them running with four paws off the ground! My luxury villa had a fly screen which remained open and during the night's sleep, you really felt as if you were in the middle of Africa! The 6am wakeup call was a tap at the door with a delivery of hot coffee. Breakfast at 0630 and 'wheels rolling' by 0700. Day two was to bring us face to face with a mother leopard and her nearly adult cub. The rangers are so good at reading the tracks and within a short time we found them. Three times that day we encountered these photogenic creatures. Once we nearly ran them over as the cats often prefer to walk in the sandy tracks made by the 4WD, and they were each in a track walking very slowly as we came belting around a bend. I hope you enjoy my photos of these magnificent leopards, I am very grateful they found such beautiful backdrops to pose for me. 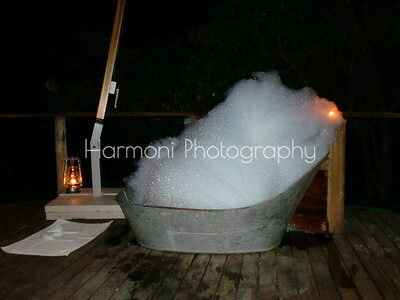 On returning from this evenings game drive, an indulgent and delightful 'star bath' had been set up on my verandah. I've never seen so many bubbles! Lanterns aglow all around as I could enjoy this unique bath under the stars and the African sky! 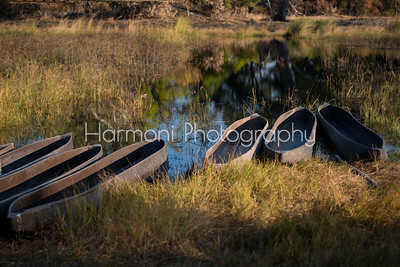 The Okavango would not be complete without a traditional mokoro canoe excursion. A treat for the visionary senses. Comfortable in fibreglass canoes, copied to look like the original dugout tree canoes, you take your seat and let the delta embrace you. 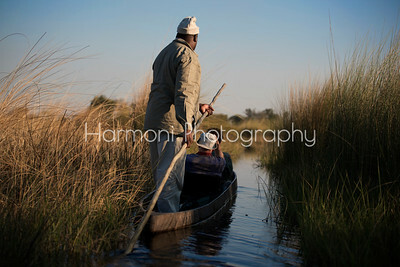 The guides do all the work, moving confidently through the watery reeds with nothing more than a pole to manoeuvre with. A stillness about, as you are finally at the level of the earth, a perspective we do not allow ourselves often enough. Nervous about taking my good camera gear, it proved absolutely safe. 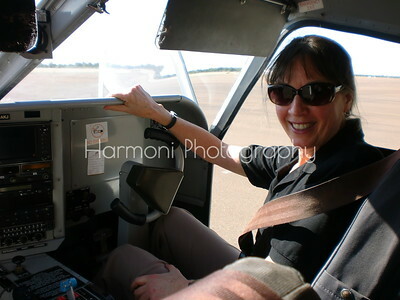 It wasn't long and my next chartered prop plane flew me from the Stanley's camp airstrip to Kasane airport, the gateway to the Chobe river of Botswana. My next two nights were at the Sanctuary Chobe Chilwero camp. Chilwero meaning 'view from up high' as we had a river view below. Another luxury property of only 14 suites. My suite was as big as a house, complete with indoor and outdoor showers, deluxe bathtub, sitting room, hammock, and verandah. The property is surrounded by electric fences and wild animals! 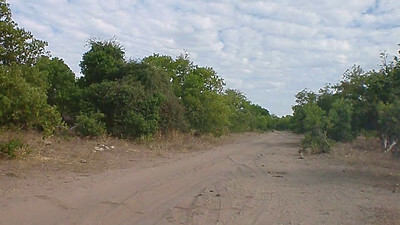 You will see elephants, buffalo, impala and warthogs within metres of the boundary. Yes, some animals do get in, such as baboons, so it is vital to keep your doors locked. Rangers always walk you to and from the restaurant after dark. This camp is on the doorstep of the river so by day you are on a Safari game drive and at sunset you are on the river in a pontoon style boat with swivelling seats to take in the view from all sides. The sunsets are fiery and magical. Within minutes you will see crocodile, elephants, buffalo, sea eagles, buck and any other creatures coming in for a drink. I was thrilled to see the beautiful White Fronted Bee Eater. These birds make their nests in sandy soil. They dig a long tunnel into the ground to bring up their chicks. Such beauties! Time was passing way to quickly and a commercial flight lifted me from Kasane back to Johannesburg airport. Here I met up with the group I was to travel with for the next week, and off we went in another small prop plane to Madikwe Game Reserve about an hour north of Joburg in South Africa. Madikwe is a malaria free area. Our arrival here was met by an ostrich, every bit the show girl parading her feathers at the end of the runway! The following three nights were at the Sanctuary Makanyane Game Lodge. Another stunning Sanctuary property owned by Abercrombie & Kent (A & K). The villa here was even bigger than the previous one. We were right in the thick of the bush. Yes, elephants have a favourite path to the river right between two villas here. No fences to be seen. At no time did I ever feel unsafe. You just would not go for a walk after dark! Makanyane was another perfect example of the kind and warm African hospitality I have experienced on every trip to Africa. The people are amazing and some of the friendliest you will ever meet. What I loved about this camp was coming home after the night drive to a lovely fireplace in the bedroom. Early morning starts as always, but hot water bottles and blankets were ready for the cold air. In no time the sun heated us up when it rose. I always wanted to do a walking safari in Africa and here I got my first opportunity to experience one. 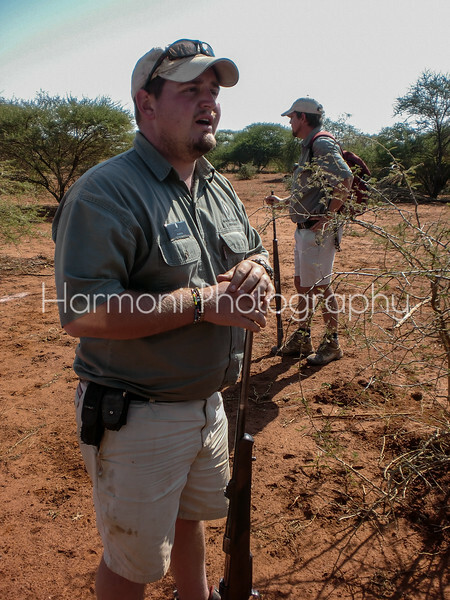 We drove a few kilometres and were dropped off with two armed rangers. We learned how to identify animals by their tracks and by their dung. Walking single file we made our way back to camp without any dangers, and we practised our stalking abilities to sneak up on a wildebeest and giraffe which actually saw us coming long before we even knew they were there! 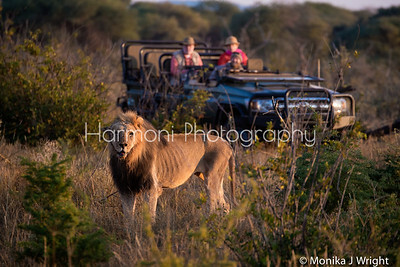 Makanyane spoilt us with not one but three mature male lion sightings. Unusual not to see any females, but no one complained as it was a real privilege to see the males. The first was a real shock though. A very badly beaten up old male lion. Poor fellow, the obvious loser of the battle. One side of his face chewed up, his eye barely visible, his ear sewn on in the wrong place, and clearly missing his canine teeth. Nature will be calling this beast to the other side, sometime soon. The greatest reward came on our last night, last game drive, well after dark. The most magnificent male lion let out his thundering roar, heard way into the distance. After marking his territory and walking for quite a while, he lay down on the sand track right in front of our vehicle. Determined not to use a flash, I fumbled a little until I managed a tricky camera setting which would allow enough light into the camera all the while trying not to move so as to avoid blur. Success! Well as the safari came to an end, the journey was not over yet! Next stop was an indulgent overnight at the Tintswalo Atlantic Resort, a five star boutique property about 45 minutes from Cape Town. This charming hotel was quick to impress with its immaculate and refined interior decorating. No money spared on the gorgeous chandeliers adorning every room, crystal accessories and genuine silver cutlery. Each room decorated to reflect a different island theme. The location of this resort was stunning. Nestled right on the ocean front, you are guaranteed to hear the waves crashing on rocks from every room. 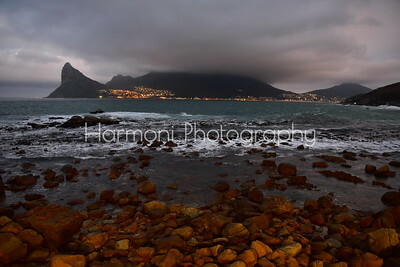 The winding and beautiful coastline to and from Cape Town reminded me very much of Southern California and in particular, Laguna Beach, where the hills come down to the sea and the expensive real estate claimed the best views. 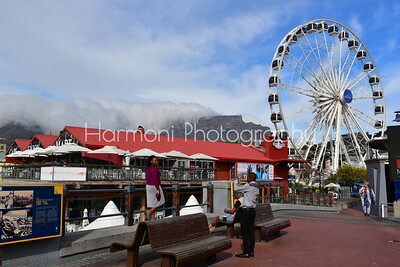 Off to Cape Town to stay at the One and Only Waterfront hotel. Boasting stunning views of Table Mountain, this hotel was ideally located in walking distance to the waterfront, shops, restaurants, and oh what a view! I really hope you've read this far, and enjoyed the adventure with me! So please enjoy the photo gallery and PLEASE if you would leave a comment or hello in the guestbook, then I know you visited. I'm sure I will return to Africa at first opportunity. If you haven't been yourself, has my little story made you want to go?